Most leaseholders will be aware of the nature of the ownership of their property: that, as leaseholders, you never really own the property. You only have a lease to occupy it for a specified time. In theory, at the end of the lease, the property is handed back to the freeholder (landlord). In practice, leases are either too long to make this an immediate concern or can be extended (at a price). These days it could be that you own a share of the freehold. Alternatively, your block may be owned by an individual or by ‘professional’ freeholders, which may be faceless companies. Leasehold is also the basis of some of the largest private family fortunes in Britain. 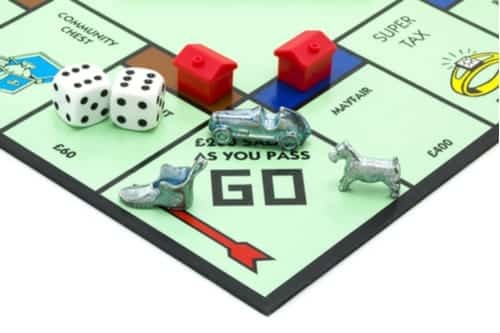 In what is known in estate agents’ language as prime central London, the big estates dominate ownership of residential and commercial property. They are still thriving and their properties are well-managed. They must be doing something right! Cadogan, Grosvenor, Howard de Walden and Portman: behind these names are big businesses which have nurtured property assets over the years but, at heart, have remained family concerns. It is well known that the Duke of Westminster is London’s wealthiest freeholder and was worth £9 billion when he inherited the title at the tender age of 25. Ultimately, he owes his good fortune to Sir Thomas Grosvenor, who married a woman who came with around 500 acres of swamps, orchards and pasture back in 1677. The Earl of Cadogan, with an estate centred around Chelsea, comes a close second to the Duke of Westminster on the London property ladder. His family also benefitted from a good marriage to a wealthy heiress. Sir Hans Sloane, the eighteenth century scientist, bequeathed his Chelsea Manor estate to his two daughters, one of whom was married to a member of the Cadogan family. On the death of Sloane’s other daughter and her offspring, her half of the estate reverted to the Cadogans in 1821. The Dukes of Portland, owners of the Howard de Walden Estate centred around Marylebone, came into property by marriage to an heiress as well. In 1719, the Earl of Oxford produced a masterplan for a housing development around Cavendish Square, but the South Sea Bubble of 1720 stymied progress. When he died in 1741, his daughter Margaret, who was married to the second Duke of Portland, inherited the estate and continued the building programme, resulting in the elegant properties in Portland Place, Wimpole Street and Harley Street. The 110 acres of the Portman Estate around Oxford Street dates to the sixteenth century but wasn’t extensively developed until the eighteenth century. Henry William Portman, followed by his son Edward Berkeley Portman, built Portman Square first in 1764. They had an interesting business model: work wasn’t carried out by the Estate but was commissioned for the infrastructure of the streets. Land was then leased to private developers and builders, much in the same way that major regeneration projects are achieved today. We didn’t find a property-rich heiress in this tale, but as it stretches back to 1300 and the reign of Edward 1, we’ve no doubt there were some feisty ladies involved along the way. If your lease doesn’t tell you and you don’t receive ground rent bills or service charge accounts, you may be storing up trouble for when you wish to sell, amend or extend your lease, but you can find out who owns the land from the Land Registry. The sole purpose of this article is to provide guidance on the issues covered. This article is not intended to give legal advice, and, accordingly, it should not be relied upon. It should not be regarded as a comprehensive statement of the law and/or market practice in this area. We make no claims as to the completeness or accuracy of the information contained herein or the links which were active at the time of publication. You should not act upon (or should refrain from acting upon) information in this publication without first seeking specific legal and/or specialist advice. Arthur J. Gallagher Insurance Brokers Limited trading as Deacon accepts no liability for any inaccuracy, omission or mistake in this publication, nor will we be responsible for any loss which may be suffered as a result of any person relying on the information contained herein.